Owner Operators Be Home Daily with Good Revenues ! If you have a doubles endorsement ask about a special opportunity that is now available. BCB is continually adding business with top shelf companies and is looking to partner with local Class A CDL Local Owner Operators who live in the Dallas Fort Worth TX area. At BCB Transport Local Owner Operator driving may be a 250 radius of Dallas Fort Worth and may service intermodal, dry van or reefer reefer business with compensation paid weekly on a percentage basis and daily hometime included. 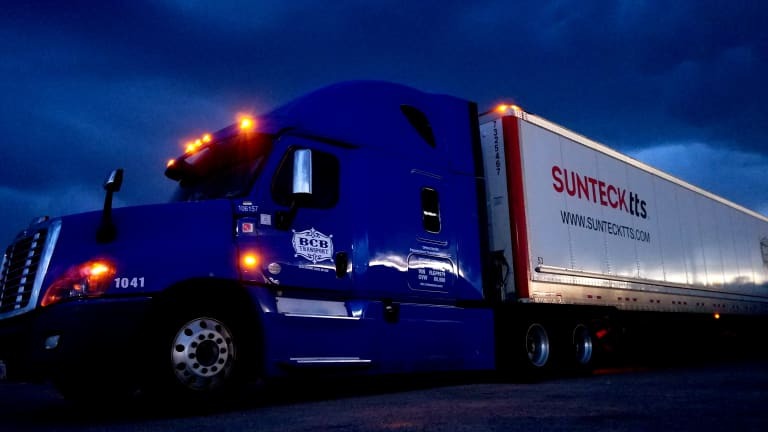 If you a Class A CDL Local Owner Operator and have a Doubles / Triples endorsement; ask about our new upcoming opportunities, featuring 100% drop and hook, regular daily lanes and excellent revenue! In other words you get choices!